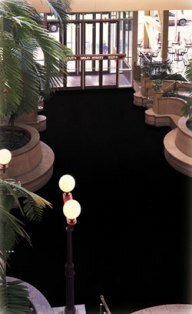 Floormat.com, an industry-leading provider of floor mats, floor matting products and customized floor matting solutions for individuals, businesses and organizations, has published a list of client testimonials. The listing of client feedback, which is presented in the form of select, direct quotes from some of the company’s major commercial clients, is available in full on Floormat.com’s website, provided below. A department manager for the City of Tallmadge also expresses satisfaction with the organization’s partnership with Floormat.com. “I feel like you have gone above and beyond to make this work for us and we are so appreciative. You don’t find companies that are so customer-focused anymore,” reads the testimonial that addresses the floor matting solutions company. Floormat.com is an industry expert in providing floor mat solutions for both commercial and residential applications. Among the different solutions offered by Floormat.com are those related to floor mat needs, anti-slip tape and tread, noise and vibration dampeners and other products related to business and home environments.